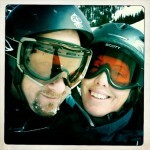 You can see from the picture we had a fun day snowboarding yesterday on our wedding anniversary! I’d marry you all over again, Pablo. One of our favorite wedding couples turned into one of our favorite families. The Buck’s – We love these guys! See a slideshow! Happy Birthday, Will! I hope you always make that cute little pucker your lips face, it’s adorable. See a slideshow! smiling. alert. happy. still so tiny. looks like her brother. looks like her daddy. looks like herself. beautiful! See a slideshow!